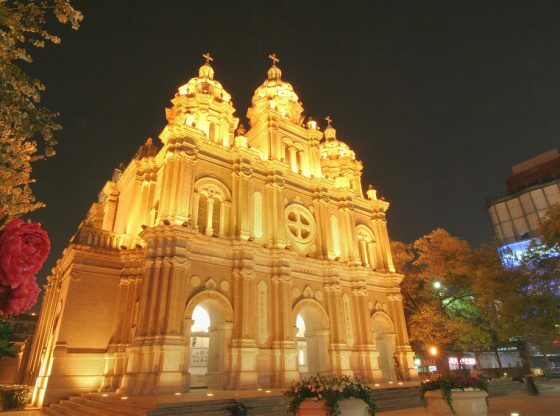 Formerly, the two unresolved obstacles in regard to relations between China and the Vatican were the relationship between Taiwan and the Vatican, and the nomination of bishops in China. The breakthrough in the Provisional Agreement on the appointment of bishops is an attempt to solve both these issues. If progress is smooth, then the relationship between Taiwan and the Vatican will also become easier to solve. Of course, the path forward will still require compromise and concessions from both sides. Judging from the historical interaction between Christianity and Chinese social relations, this agreement also marks its adaptation to the Chinese governance tradition by the Catholic Church. Because Chinese society has a governance tradition of ‘political dominance, religious subordination’, any foreign or domestic religious organisations and activities must therefore accept the premise of the government’s primary role, which reflects the political structure and ideology of Chinese society. As with the ‘Chinese rites controversy’ in the seventeenth and eighteenth centuries, Chinese society has a certain heritage in its traditions, and the Christian missionaries who first came to China had to fit in with those traditions then. In terms of Chinese traditional governance and cultural ideology, the government has full control of the nation, and any organisation (including religious organisations) must therefore conduct its activities under the premise of the government’s primacy. Otherwise, its operations (including religious activities) would lack a legal basis. In the West in contrast, following the bourgeois revolutions and the Protestant Reformation, the ‘separation of state and church’ has become the mainstream tradition in most Western countries. At the same time, the traditions of constitutionalism and the rule of law have become more established in the West. This suggests on the one hand that political power is separated from the church, whilst on the other, the church can only benefit from various freedoms within the scope of the rule of law, which has consequently channelled the influence of the Pope into a non-political model. The freedom of operation for church activities within the legal framework in most Western countries has become a mainstream ideology, which is also at the root of the religious freedom that Western society enjoys. According to the rules of Chinese governance, however, both the ‘officialdom standard’ and the concept of ‘political dominance, religious subordination’ determine that religion is never completely free of the state in civil terms, but belongs in a semi-official state dominated by the government. Thus, there is a serious incompatibility with the Chinese political tradition when the Western church conducts ‘unofficial religious activities’ in China according to its own traditions. These so-called ‘non-governmental activities’ carried out in China are liable to give the impression that Western churches are cultivating some kind of ‘anti-government forces’ (non-governmental local forces). This is absolutely unacceptable in China, because such forces cross a red line in terms of Chinese politics. This is due to the status of the traditional Chinese political structure, and also the status of the law itself within the country; consequently, the government remains the chief arbiter of religious activities in China. Western churches must learn how to deal with the Chinese government in order to fully understand Chinese traditions. Otherwise, all their activities, including religious activities, charity work and work through non-governmental organisations (NGOs) might be considered illegal. This incompatibility reflects the difference between Eastern and Western social governance traditions. How, then, can we solve the problem presented here? In China, foreign churches, Chinese underground churches and even house churches must be guided by the government. Any religious activity from the grassroots level and NGOs is almost non-existent, and where it does exist, this is within a ‘grey area’. The Provisional Agreement therefore not only reflects the need for Western churches to adapt to China’s political governance tradition, but also indicates that the underground churches in China need to have some form of contact with the Chinese government. For individual Christians, this change could be a good development. As the Pope has said, this agreement is about spirit, not politics. The Provisional Agreement shows that the voice of the Chinese government is increasingly being heard in terms of shaping the relationship between the two sides. It also indicates that the Holy See is adapting to the rules of China. Compromise and dialogue constitute the only way forward, unless the Chinese government changes its political model, and that is not easy to change. Wang Chao is a member of staff at the Ethnography Centre of Shaanxi Normal University. Image Credit: CC by SJ Liew/Flickr.